Jake is a man of many talents. He grew up in the western suburbs of Illinois and loved the adventure of the outdoors, 'until the street lights came on'. He's a big baseball fan and revels in pastime with his son. Jake's passion and talent manifest in many forms, from professional bowling to all things power equipment. He recalls fond memories of a time he and his girlfriend broke new ground for their flower garden and found themselves in the same shoes as many Americans learning about the differences between cultivating and tilling the land. He, like so many other Chicagoans, also loves the Bears, but could do without the treacherous Chicago winters. 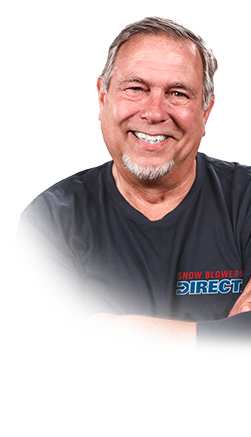 He sympathizes with customers looking to replace their snow blower and excels at giving great tips and advice. Lastly, Jake has a lot of respect for the 'patience of fishermen'. Although he doesn't consider himself a 'seafaring captain', he does enjoy answering customer questions about outboard motors and spending time with the family on Lake Michigan. Jake prefers the company of others and loves a good old-fashioned BBQ. In the summer, you will find him cheering on his son who plays baseball for his traveling and high school teams.